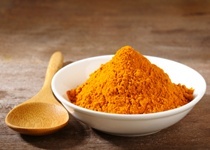 Home » Brain Function » Turmeric: The Eastern Key to Dementia Prevention? Alzheimer’s disease and dementia is becoming an increasing health concern. As the population ages, especially here in the United States, it has the potential to affect millions of lives. The number of people living with the disease increases annually, with a new case being diagnosed every 67 seconds. Currently, 5.2 million Americans are diagnosed with Alzheimer’s—and that number is expected to skyrocket to 16 million by 2050. Keep in mind, I’m only talking about individuals 65 years and older. Although Alzheimer’s is a global concern, rates are higher in Western countries like America and Great Britain. You’ll see a lot of web sites promoting natural health techniques claiming Eastern civilizations, namely India, have substantially lower rates of Alzheimer’s. This is often attributed to high amounts of turmeric in the diet, a spice shown to lower inflammation and promote brain stem cell growth. But the truth is that India’s Alzheimer’s rates are only marginally lower than America’s. However, in one region in particular, called Ballabgarh in Northern India, Alzheimer’s is virtually nonexistent. Although diet likely does play a role, it’s not just the turmeric; Ballabgarh is a farming community where people are active and healthy, and there is virtually no obesity; cholesterol levels are also extremely low. But that doesn’t mean turmeric might not offer some benefits to Alzheimer’s treatment. The extract has been used in some medications and it’s seemingly coming up again and again as a viable treatment and prevention option for dementia and Alzheimer’s. Now, I don’t think eating more turmeric alone is enough to fight off or treat dementia or Alzheimer’s, but if it’s part of a holistic, lifestyle-based treatment, then yes, I do believe it can aid in the prevention and treatment of neurodegenerative disease. The two benefits of turmeric that have been noted to play a helpful role in these diseases come from two different compounds in the spice: curcumin and aromatic tumerone. Curcumin breaks down plaque in your brain that is a staple of Alzheimer’s. The plaque is called amyloid-beta plaque, and the anti-inflammatory, antioxidant, and anti-amyloid properties in curcumin seem to be a good defense and treatment against this plaque. The problem, however, is that most tests have shown it only to be effective in very high amounts, indicating that if you’re using it as a primary source of treatment, it might not be effective. Research is still ongoing to see how effective it can be. Aromatic tumerone has been getting a little more recognition recently, as it’s been found (in mice) to restore stem cell growth and produce and regenerate brain cells. This is important for people with dementia or Alzheimer’s because, theoretically, it means the lost brain cells that worsen the disorder could be maintained or replaced, thus fighting degeneration. So far, much of the research showing the benefits of turmeric has been done in a lab setting. The reason why more work needs to be done for anything to be conclusive is because the human body has a difficult time breaking down and absorbing the compounds in turmeric. Because of this fact, it’s likely the amount needed to experience any therapeutic effects would be extremely high. That said, I still believe it is beneficial as part of a healthy diet. There are a number of factors that contribute to dementia and Alzheimer’s, and the best way to prevent the onset of these conditions is to practice a healthy lifestyle. Eat a diet rich in healthy fats, fruits, and vegetables; exercise; maintain a healthy weight and cholesterol level; and do your best to keep your mind active and engaged. Hughes, J., “Indian village may hold key to beating dementia,” BBC News web site, February 3, 2010; http://news.bbc.co.uk/2/hi/health/8492918.stm, last accessed October 3, 2014. “Alzheimer’s Facts and Figures,” Alzheimer’s Association web site, 2014; http://www.alz.org/alzheimers_disease_facts_and_figures.asp, last accessed October 3, 2014. Mathuranath, P., et al., “Incidence of Alzheimer’s disease in India: a 10-year follow-up study,” National Institutes of Health web site, November 2012; http://www.ncbi.nlm.nih.gov/pubmed/23287326, last accessed October 3, 2014. “Science behind the headlines: How to reduce your risk and other popular topics,” Alzheimer’s Society web site, 2014; http://www.alzheimers.org.uk/site/scripts/documents_info.php?documentID=2211&pageNumber=5, last accessed October 3, 2014.